was born at La Grange, Colbert County, Alabama, in October, 1829, and is a son of John and Martha (Curtis) Rand, natives of Wake County, North Carolina. Mr. Rand’s parents moved to LaGrange in 1826; purchased two farms, one in Lawrence and the other in Franklin county, and were successful in accumulating a large amount of land. They reared four sons and five daughters, namely: Louise, wife of William Mullens of Alabama; Pemantha, widow of Robert A. Lampkin; Martha, wife of Reece Cook, of Vicksburg, Mississippi; Jackson C., deceased; John W., physician; William H., farmer; Molsey A., wife of F. C. Vinson; Parker N. G., our subject; Mary A., wife of Dr. William Stephenson—she died in Texas. The elder Mr. Rand died in 1863 at the age of seventy-six years. His wife died in 1845, aged fifty-six years. He was a very active and industrious man while in North Carolina. Beginning in life apparently a poor man he succeeded in accumulating a fortune of at least $450,000. The Rand family were originally of Irish and scotch ancestry. The mother of our subject was a daughter of John Curtis, a native of Wake county, North Carolina. He was a lineal descendant of Irish parentage. The subject of this sketch was reared on a farm; received a common-school education, and in 1845 entered LaGrange College, from which institution he was graduated as A. B. in 1849. After his graduation he was engaged with his father farming until February, 1855, when he was married to Martha A. Smith, daughter of John smith, of Lawrence County, Alabama. They reared a family of six children, namely: Pattie; Parker, book-keeper for F. R. King & Company; Leighton, Hall, John and Mary. After marriage Mr. Rand located in the neighborhood of his birth where he was engaged at farming. He was elected magistrate, which office he has held for thirty years or more. In the spring of 1863, he raised a company of soldiers; was elected captain, and entered a battalion under Major Williams of the Confederate Army. This company remained a part of the battalion until its major was killed, after which it was merged into Company H, Eleventh Alabama, commanded by Col. James Burtwell, a graduate of West Point. Mr. Rand remained with this regiment until the close of the war. He was mostly engaged as a scout and participated at the battle of Tishomingo Creek and at the fall of Selma. He surrendered at Pond Springs, after which he returned home and resumed farming. Having lost considerable of his fortune, he went to work with energy and has succeeded in replenishing his coffers. Mr. Rand and wife are members of the Methodist Episcopal Church, of which he has been steward for many years. He is also worshipful master of the Masonic lodge, and has taken an active interest in all that pertains to the advancement and progress of his section of the country. Capt. 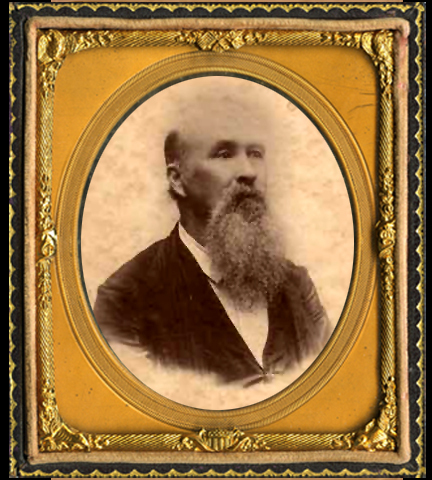 Parker N. G. Rand, one of the leading planters of Colbert county, Alabama, residing three and a half miles southwest of Leighton, and nine and a half miles southeast of Tuscumbia, was born at LaGrange, Colbert County, October 18, 1829. He is the son of John and Martha (Curtis) Rand, both natives of Wake county, North Carolina. After marriage they came to Alabama in 1826, locating in Franklin, now Colbert County, where Mr. Rand purchased two plantations, followed planting successfully and accumulated considerable property. His wife died December25, 1845, and his death occurred in 1863. They were the parents of eleven children, two of whom died in infancy, nine living to mature years. Two of the children only are now living. viz. : Capt. Parker N. G. and William H., a citizen of Texas. Capt. Rand was reared on his father’s plantation and attended the common schools in his youthful days. In 1845 he went to LaGrange and entered the college there, from which he graduated in 1849 with the degree of bachelor of arts. After leaving college he followed planting until the breaking out of the war, and in 1862 raised a company of which he was elected captain. With this company he entered a battalion under Major Williams, which was subsequently merged into the Eleventh Alabama cavalry under Col. Burtwell, a graduate of West point. He remained with the Eleventh until the close of the war, surrendering his company at Wheeler’s Station in April, 1865. After the war Capt. Rand returned to the farm and has followed farming ever since. For more than forty years he has been a magistrate in Colbert County. In 1892 he attempted to secure the nomination for probate judge, but was defeated. He, however, did not sulk in his tent, but when his party called on him to assist in the campaign he promptly responded, rendering all the assistance which lay in his power, and the result of all the efforts made was that Colbert County was carried for the democratic party for the first time in many years. Capt. Rand is a member of the Masonic fraternity and of the Knights of Honor. He was married February 8, 1855, to Miss Martha Smith, daughter of John Smith, of Lawrence county, Alabama, and to their marriage there have been born eight children, seven of whom are living, viz. : Dr. Edgar Rand, a physician, of Leighton; Henry A., a farmer; Martha B., wife of Henry P. Kumps [sic – KUMPE]; Parker, Jr., merchant at Leighton; John B., connected with a wholesale grocery house in Memphis; Hal, at home on the plantation, and Mary S., a recent graduate of the Huntsville Female college.